Shattila Ekadasi, also known as Shatthila Ekadashi or Tilda Ekadashi (means donate til seeds), or Magh Krishna Ekadashi, is one among the Ekadashi fasts observed by devot Hindus during the month of January/February. Sattila Ekadasi importance can be found in the Bhavisyotara Purana where Lord Krishna has also told this to Yudhishtira . Shattila Ekadasi date is January 12, 2018. 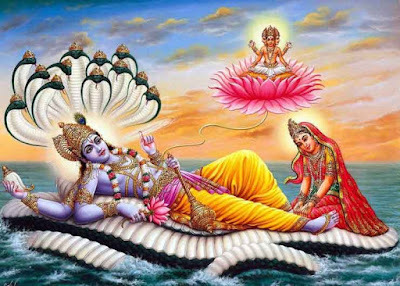 As always, the day of Ekadashi is dedicated to the supreme Lord Vishnu and is marked on the 11th day of waning as well as waxing phase of moon in Hindu calendar. The same rules apply to Shattila Ekadasi Fasting is with the other ekadasi fasting days. -Bathe in the water mixed with sesame seeds. -Donate the sesame seeds in charity or the poor, you can simply give the seeds - white/brown or can offer a til ladoo to the poor. This Ekadashi day is given the name as Sat-Tila or Shattila ekadashi as it is considered that if one donates Til (Sesame) seeds on this ekadashi day, it will help in removing the sins he/she has committed. This Shattila Ekadashi helps in controlling one's senses, get rid of negativity like anger, ego, negative thoughts, any gossips and help in attaining salvation or moksha. The importance or significance of this ekadashi also holds true when one takes bath in water that has been mixed with til (sesame seeds) and also offer water mixed with sesame seeds to dead ancestors on this day of Shattila Ekadashi. These seasame seeds must be given in charity or feed the hungry with food made with til. 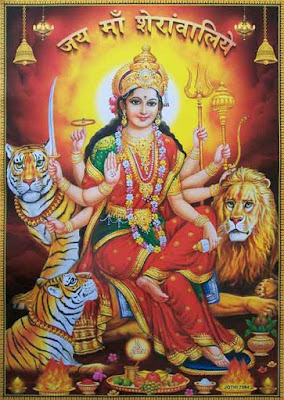 Sat-tila Ekadasi occurs in winter season or Magh month in North Indian states and Paush in other regions. The food made with til or Sesame seeds is highly beneficial to the body when eaten. Rice or any food that has rice grains as ingredients must be avoided. Some people eat some sesame seeds on this day. The next ekadashi fasting occurs on January 27, 2018 that will be called as Jaya Ekadasi or Bhishma Ekadashi or Bhoumi Ekadasi. Ekadashi Tithi starts at 19:10 on 11th January 2018 and ends at 21:22 on 12th january 2018. On 13th January, 2018, the Parana time (time of breaking ekadashi fast on dwadashi tithi) is from 07:19 to 09:23 AM. Shattila Ekadashi 2019 Date & Time will be updated soon.